There are 14 Memory Care Facilities in the Stafford area, with 2 in Stafford and 12 nearby. The average cost of memory care in Stafford is $4,580 per month. This is lower than the national median of $4,650. To help you with your search, browse the 7 reviews below for memory care facilities in Stafford. Better rated regions include Fredericksburg with an average rating of 4.5 out of 5 stars. Caring.com has helped thousands of families find high-quality senior care. To speak with one of our Family Advisors about memory care options and costs in Stafford, call (855) 863-8283. Promotion ends in 3539 days! Stafford's population of 46,690 includes 4,669 seniors aged 65 and up, some of whom have Alzheimer's disease or dementia. Statewide,140,000 Virginia seniors currently have Alzheimer's disease, and that figure is expected to rise nearly 190,000 by 2025, according to the Alzheimer's Association. The state of Virginia refers to facilities intended for patients with cognitive conditions as special care units. They must abide by special staffing and administrative rules and be licensed by the Virginia Department of Social Services. Virginia Beach is home to two special care units, and 14 others are in the neighboring communities of Woodbridge and Fredericksburg. Stafford's annual rainfall is only two inches greater than the national average of 39 inches, and the yearly snowfall is around 12 inches. The average number of sunny days is 198, lower than the U.S. average of 205. The yearly high and low temperatures vary by 63 degrees with summer temps reaching 88 and wintry lows dropping to 25. The Sperling's Comfort Index for Stafford is 51 out of 100, which is only 3 points above the national average of 54. Such pleasant weather is attractive to seniors with arthritis seeking relief from swollen joints. Stafford is home to world-class medical facilities, including those specializing in brain health and dementia care, such as Mary Washington Healthcare and Mary Washington Hospital, in the event of medical emergencies or illness. Virginia is considered a tax-friendly state for residents 65 and older who are able to deduct up to $12,000 per person of income. Social Security benefits are not taxed, and Virginia's property taxes are low. The regulations provide special rates for seniors, and sales tax is low. These tax saving may help families and seniors better afford memory care in Stafford. On a cost of living index based on a U.S. average of 100, Stafford's index is 123.9, so it's around 24 percent more expensive than other parts of the country. If the tax savings in the state aren't enough to offset the cost of living, then families looking for affordable memory care may need to look elsewhere. Memory Care costs in Stafford start around $4,580 per month on average, while the nationwide average cost of memory care is $4,800 per month. It’s important to note that memory care rates in Stafford and the surrounding suburbs can vary widely based on factors such as location, the level of care needed, apartment size and the types of amenities offered at each community. Stafford and the surrounding area are home to numerous government agencies and non-profit organizations offering help for seniors searching for or currently residing in an assisted living community. These organizations can also provide assistance in a number of other eldercare services such as geriatric care management, elder law advice, estate planning, finding home care and health and wellness programs. To see a list of free memory care resources in Stafford, please visit our Assisted Living in Virginia page. 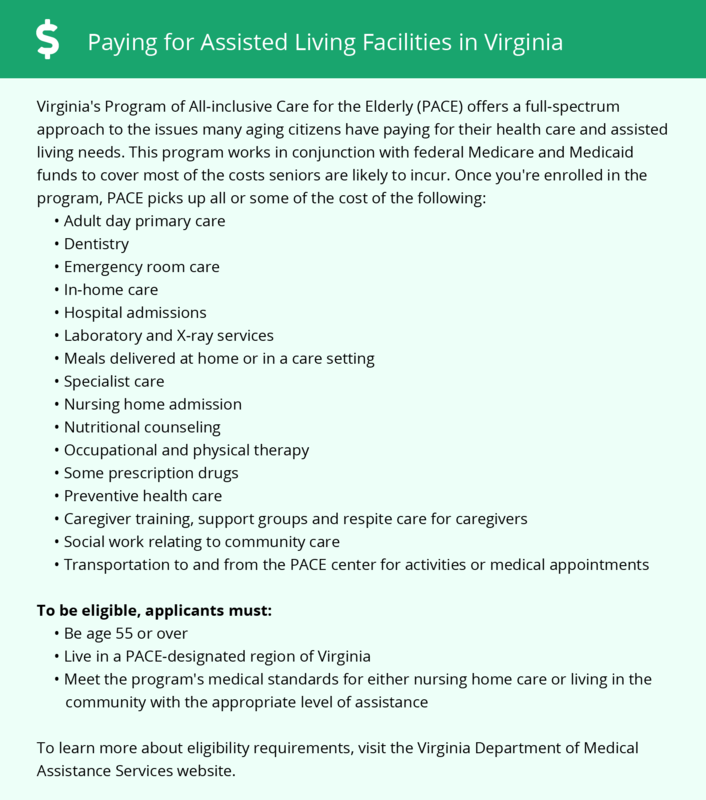 Stafford-area assisted living communities must adhere to the comprehensive set of state laws and regulations that all assisted living communities in Virginia are required to follow. Visit our Memory Care in Virginia page for more information about these laws.